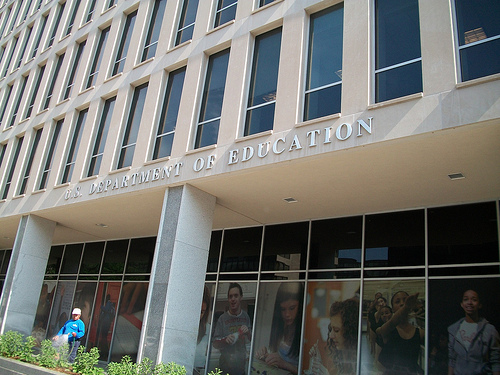 The DOE doesn't know when to let bad programs die. Sound familiar? This is the same kind of defense government always uses when defending fundamentally broken programs. “We just need more time.” A year after the launch of ObamaCare, and five years after the Affordable Care Act was signed into law, the president is still tinkering with it, and Democrats in Congress keep telling us that it just needs to be “fixed.” Given enough time and, more importantly, enough money, they assure us, they can make the program work, despite all actual evidence to the contrary. Just as ObamaCare remains a perpetual work in progress, so do all top down government programs. They can’t work, and so when they don’t, rather than admit to a mistake, the agencies claim that they just need work, no matter how many years of development or taxpayer dollars have gone into them. Common Core standards were developed in 2009, with implementation beginning in 2010. They’ve had five years to fix any bugs and iron out the kinks of a system they keep insisting is going to improve U.S. education (just like No Child Left Behind and Head Start were supposed to, right?) If five years isn’t enough to craft a successful program, doesn’t that tell you something about the fundamental methodology employed by the DOE? Private companies don’t operate this way. If Apple’s latest iPhone was still hopeless broken five years in, requiring continuous patching, they would go out of business. Customers would rapidly abandon any company making such flimsy excuses for failure and would flock to more reliable competitors. But with government, there is no competitor, and therefore no accountability or incentive to perform. This clever tactic of claiming that things “need work” means that we can never give up on a program, no matter how long in the tooth or ineffective. Fortunately, state government have started to show themselves willing to abandon Common Core standards that are clearly failing. If only they had a similar option for ObamaCare. They're "running a marathon" on my children's time.